Stamp House provides cosy and comfortable accommodation for up to 48 boarders in the Lower School. We pride ourselves on being the welcoming entrance into Queenswood and staff are skilled at making the transition from primary school to secondary as stress-free as possible for the girls. We have a flexible approach to boarding and encourage all girls to experience boarding, even if only for a few nights during the term. All Year 7 and 8 girls use the House as their base for the day, enjoying both study and recreation time in its comfortable common rooms. 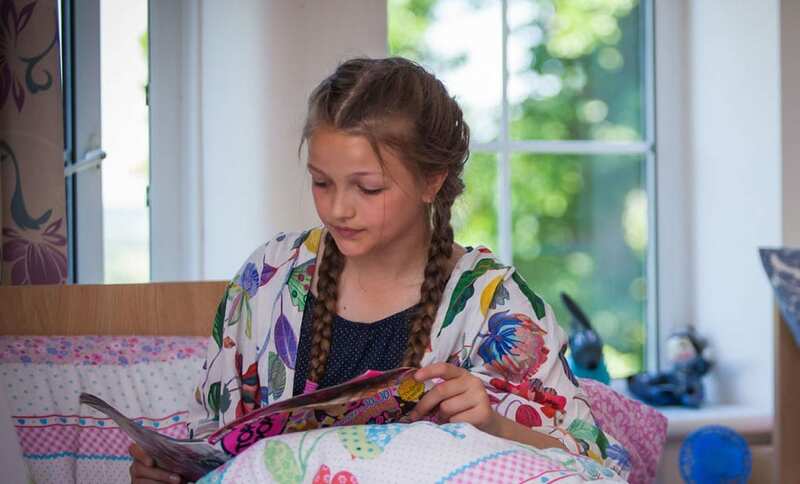 Boarders enjoy modern bedrooms and bathrooms and have the opportunity to share rooms with different girls each term. The girls have many opportunities to socialise together and actively raise funds for our House charity. Three full time resident staff members are on hand during the day to provide for the girls’ pastoral needs. These staff members also care for the Boarders in the evening and at weekends.